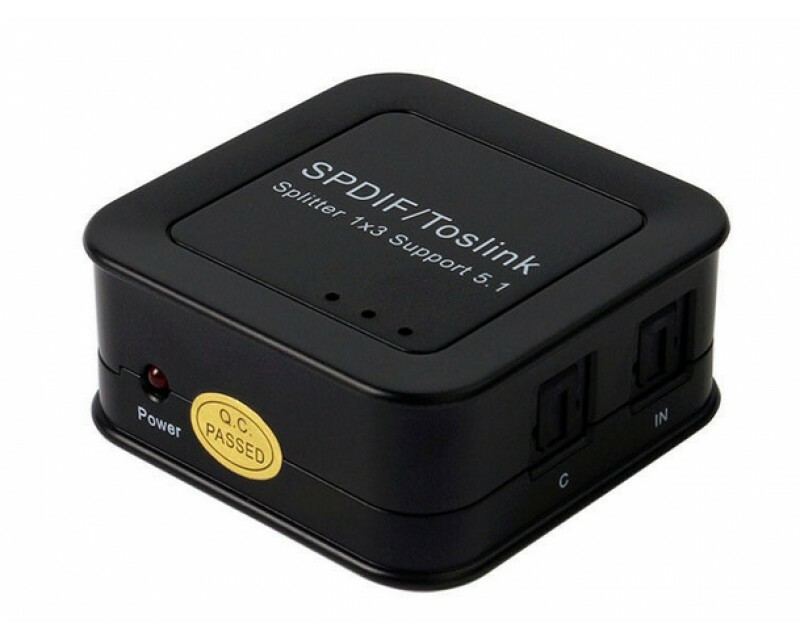 This SPDIF/TOSLINK Digital Optical Audio splitter allows you to distribute input digital optical audio to three amplifiers or receivers, seamlessly and flawlessly without degradation. It supports LPCM2.0, DTS and Dolby-AC3 audio formats. 1. One way optical fiber signal splits into three identical outputs at the same time. 2. Support Dolby Digital & DTS 5.1; Support LPCM Stereo 32kHz, 44.1kHz, 48kHz and 96kHz. 3. Integrated circuit implementation delivers unsurpassed reliability and fidelity. Virtually no loss of quality! 5. Use optical fiber cable loss less the 0.2Db/m, Output distance can be up to 40m. 7. Plug and play, Installs in minutes.